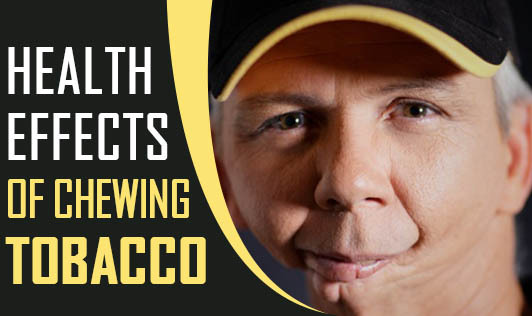 So, you probably don't smoke cigarettes, but all you do is stuff the tobacco in between your cheeks and gums and spit out the brown tobacco juice every now and then. You think it's not as bad as smoking right? You're wrong! Chewing tobacco can be as dangerous as smoking and like cigarettes, you can get addicted to tobacco chewing too. Addiction: You can easily get addicted to chewing tobacco. Tobacco contains nicotine which is absorbed in the body just as it is inhaled during smoking. Just like smoking, withdrawing from chewing tobacco can cause withdrawal symptoms like intense craving, irritability and depressed mood. Leukoplakia: Chewing tobacco increases your risk to develop leukoplakia. Leukoplakias are small white, pre-cancerous lesions formed inside the mouth where the tobacco is usually placed. These precancerous mouth lesions have a tendency to become cancerous. Cancer: chewing tobacco exposes you to the carcinogenic tobacco specific nitrosamines (TSNA's) and increases your risk to various types of oral cancers like mouth, cheek, throat, gums, lips and tongue. It is also seen to increase your risk to pancreatic cancer and kidney cancer. High Blood pressure and Heart disease: Chewing tobacco increases your blood pressure and heart rate and your risk to heart attack and stroke. Now that you know the dangers of chewing tobacco, take extra efforts to stop using tobacco today..! !